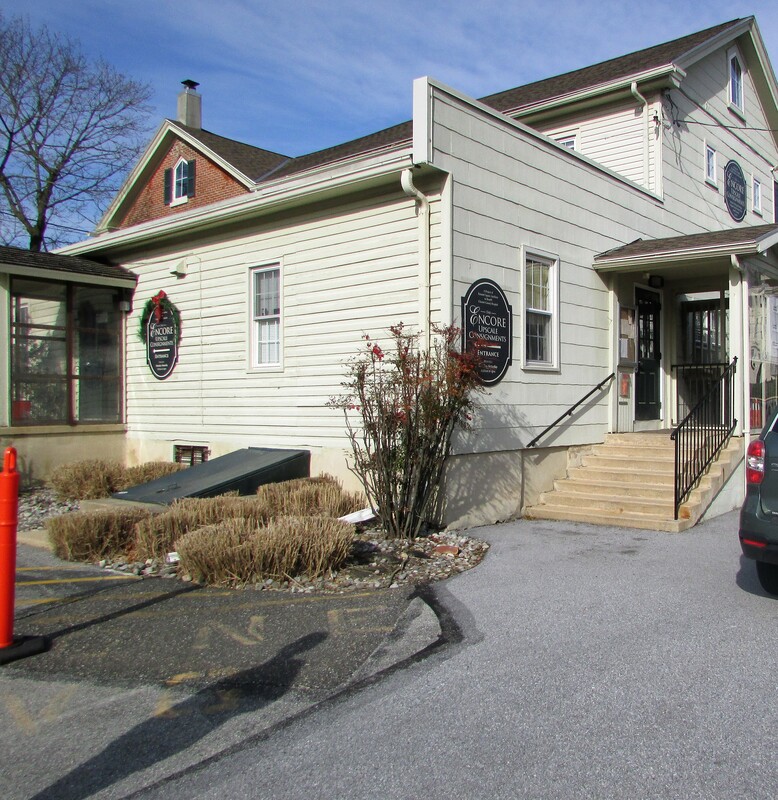 In Pitman, NJ, the town next door to mine, you will find Alcyon Lake Park. 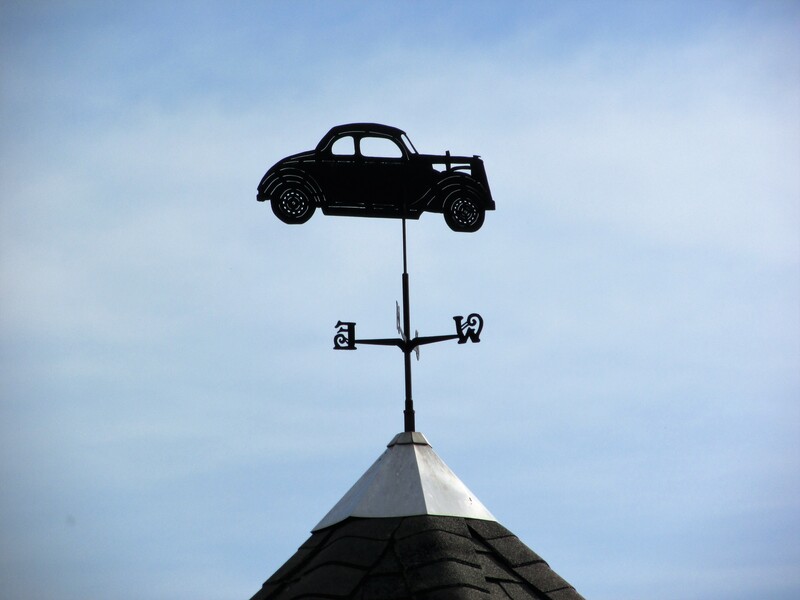 The stock car weather vane pays homage to the days when racing took place on the grounds. 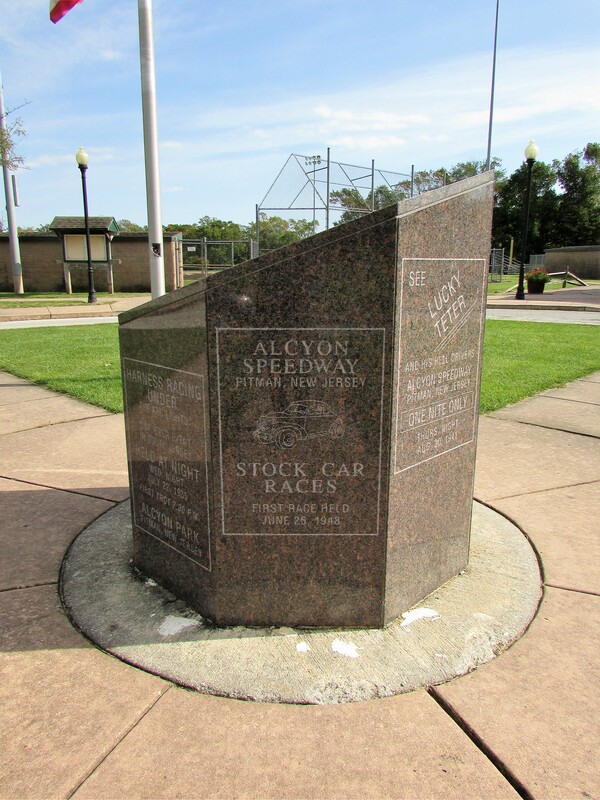 Alcyon Speedway was a 1/2 mile D shaped oval located on the west side of Pitman, New Jersey. The park is a terrific place to walk as it has a little bit of everything: woods, wildflower fields, and a beautiful lake on one side. Many thanks to these bloggers for taking part in last week’s Weather Vane Wednesday. Take a look at their great posts. 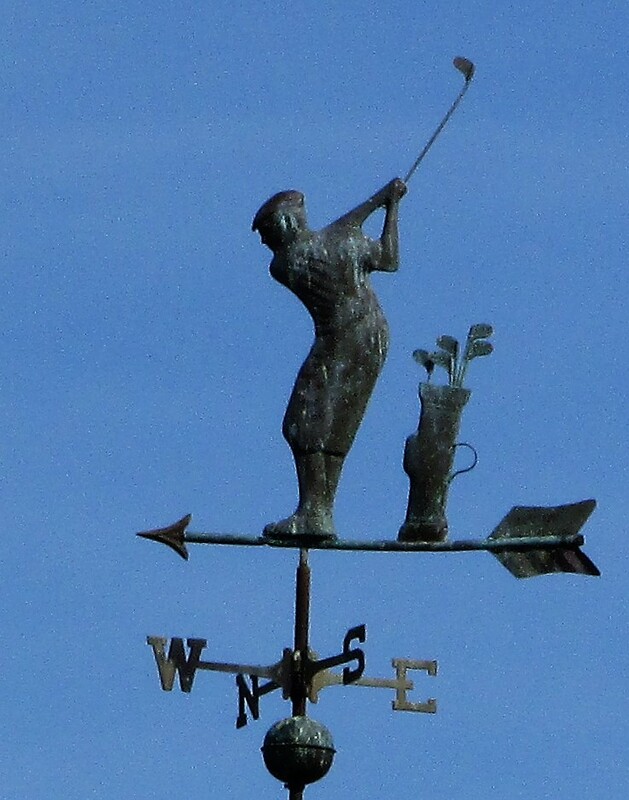 Today’s Weather Vane Wednesday post is once again a golf theme. 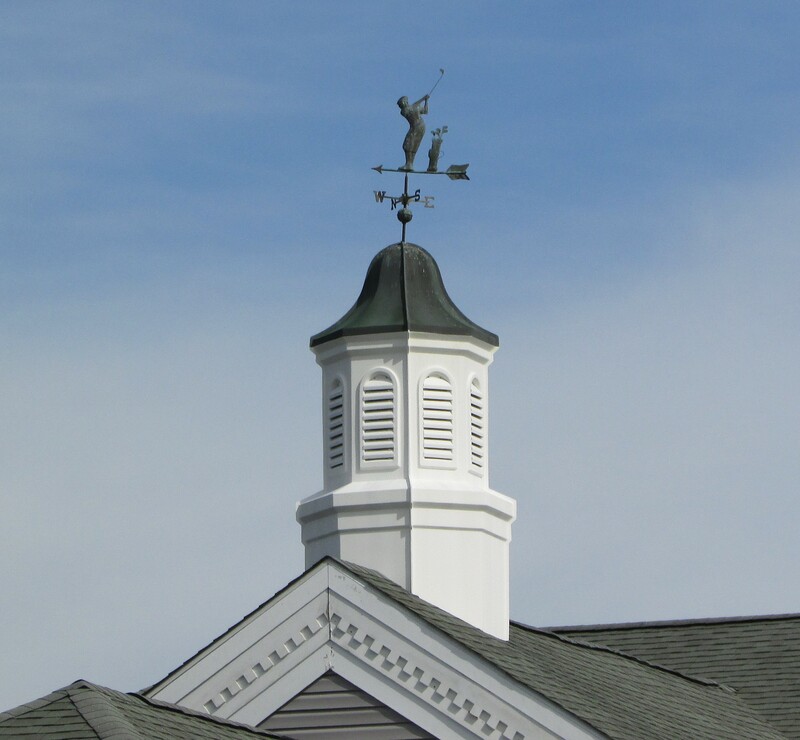 The weather vane is quite large in comparison to the first golf vane post. 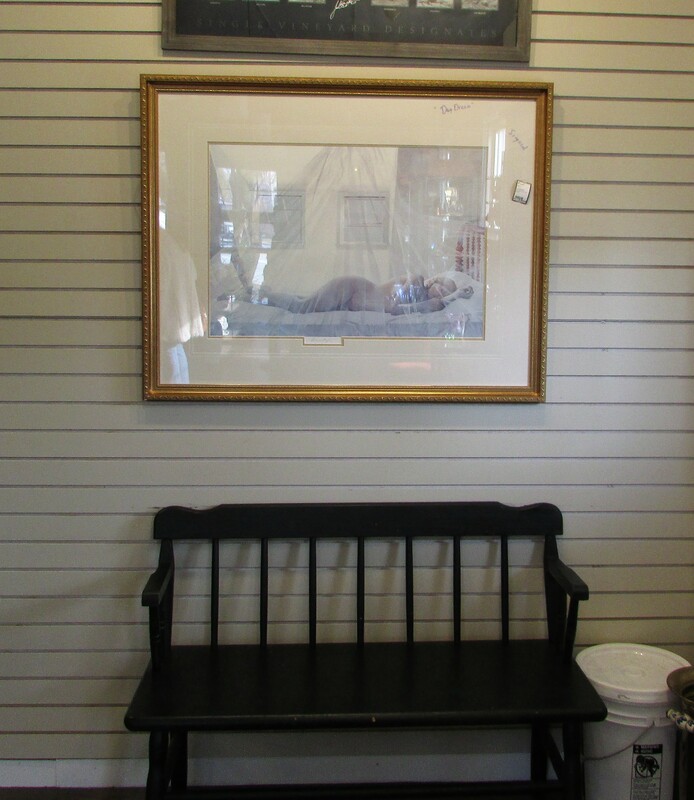 You can find this nattily-dressed golfer atop the Pitman Golf Club in Pitman, New Jersey. 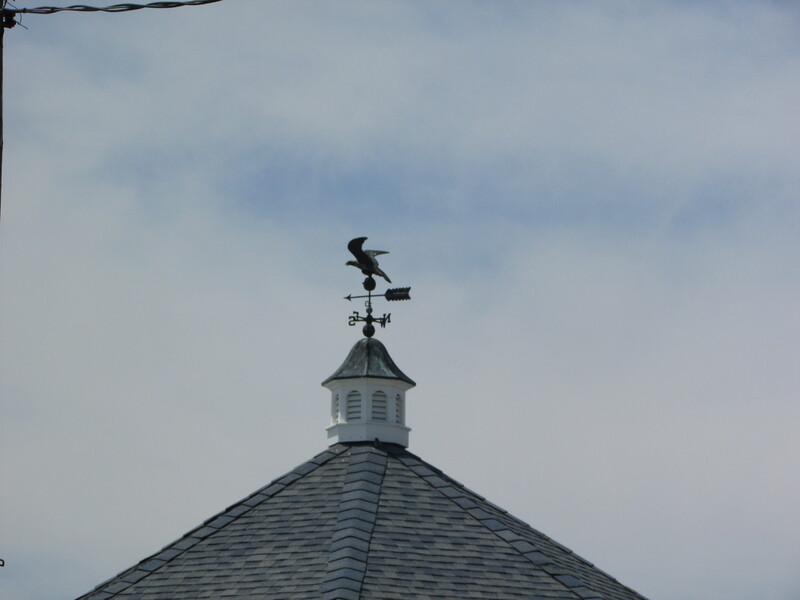 The photo is a bit blurry since I zoomed in from afar, but you can see by the weathered surface the weather vane has been there quite awhile. I like his jaunty cap. Thanks so much to the 59 Club for two weeks of #weathervaneweds posts. This post is part of Skywatch Friday/September 11th Edition. Oh, the joy of an unexpected photo opportunity, and having your camera with you when you stumble upon it. 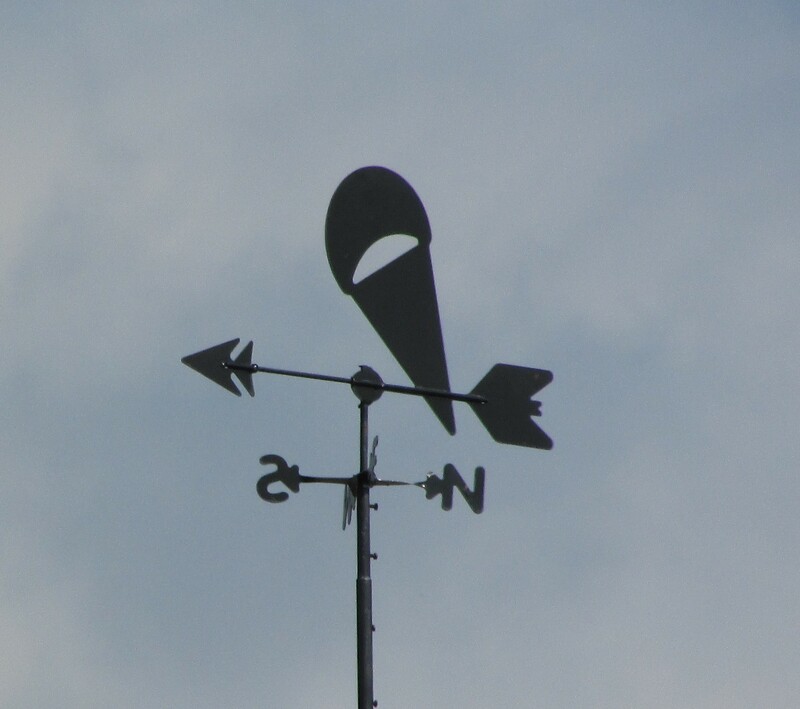 The road was busy, speed limit 45 mph, and somehow a weather vane caught my eye as I drove by a home. 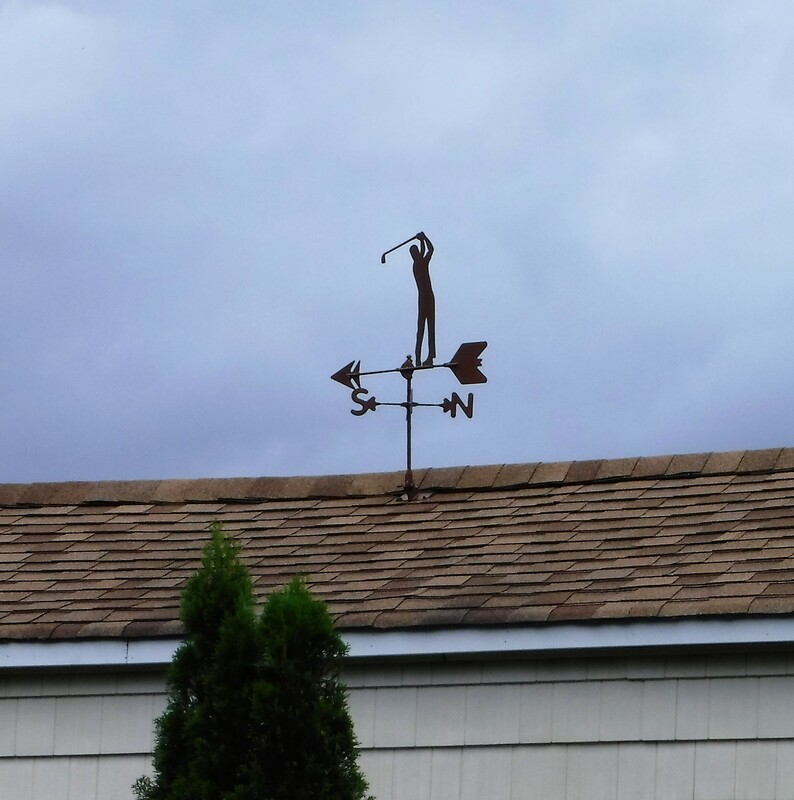 It perched on the top of a backyard shed, depicting a golfer in mid-swing. Amazing! I drove a bit further down the road, turned off as soon as I had a chance, and back-tracked. I had my camera ready for a quick shot out the window. I was lucky again and no cars were behind me. 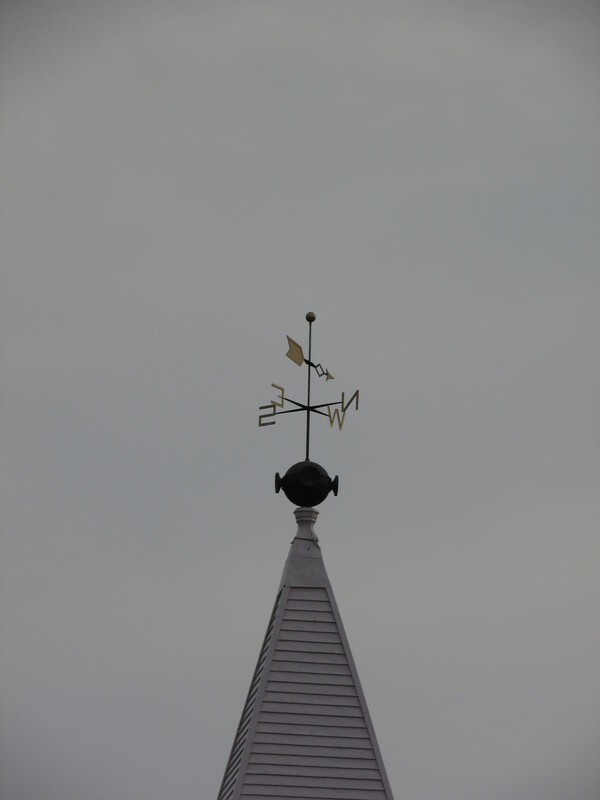 I was able to stop, focus in, and take a decent photo for this week’s Weather Vane Wednesday. 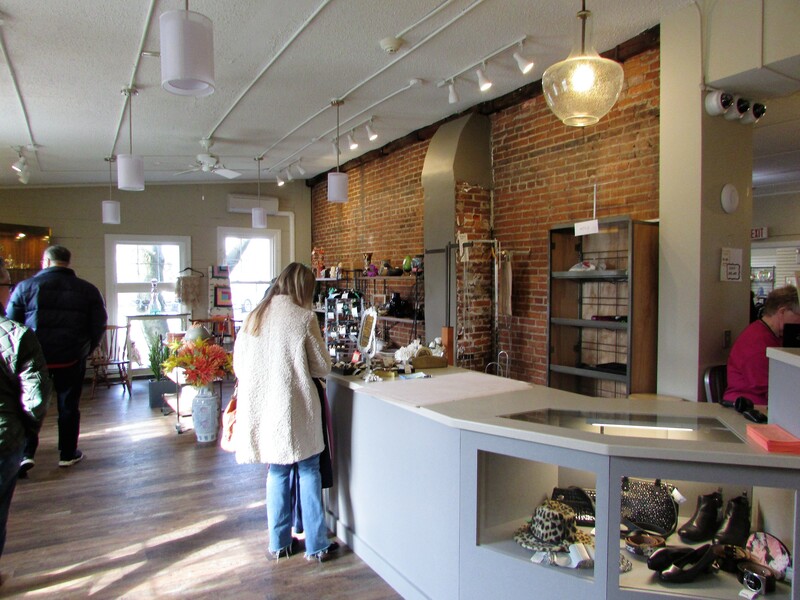 The location is somewhere betwixt and between Blackwood and Washington Township, New Jersey. 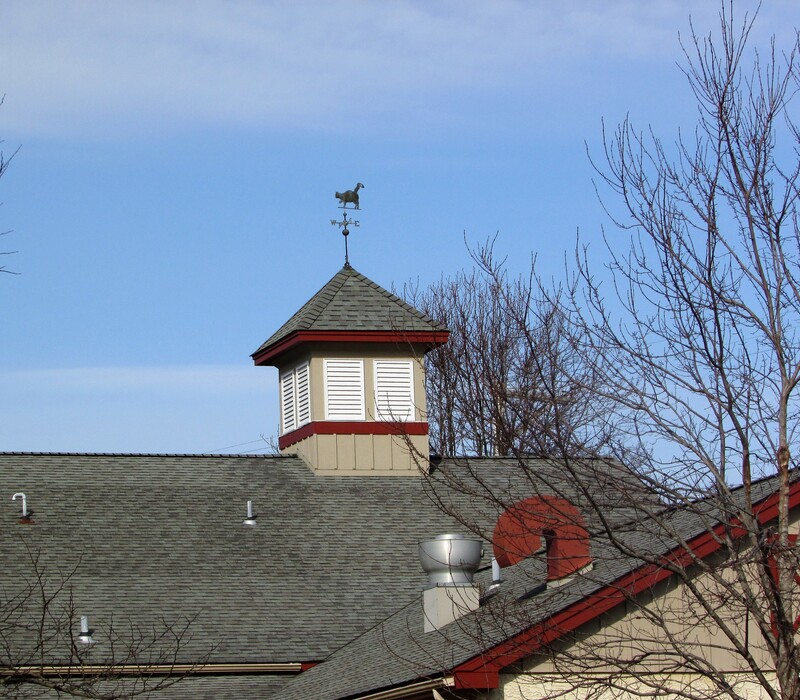 A cute cat weather vane for this week’s Weather Vane Wednesday Photo Challenge. 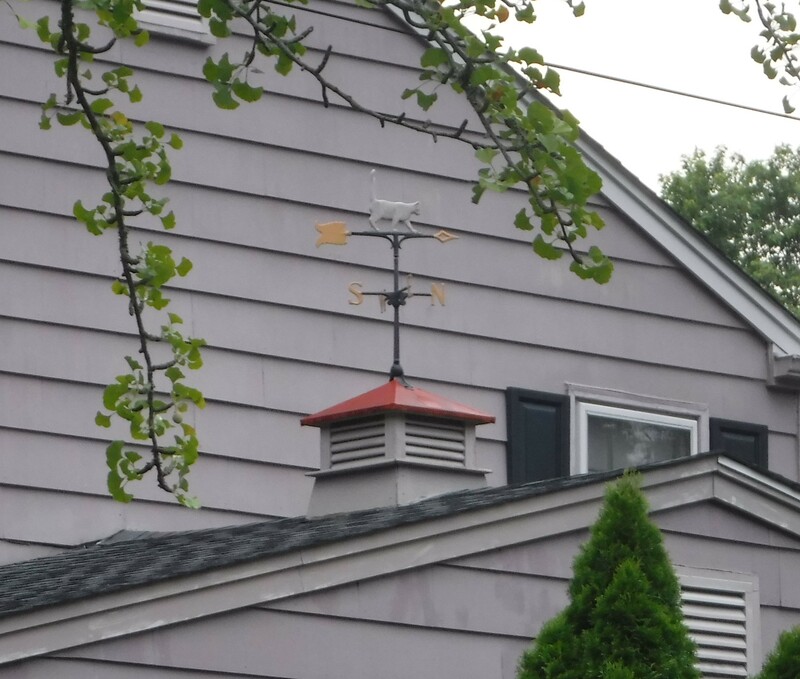 This weather vane can be found in my town of Glassboro, New Jersey. 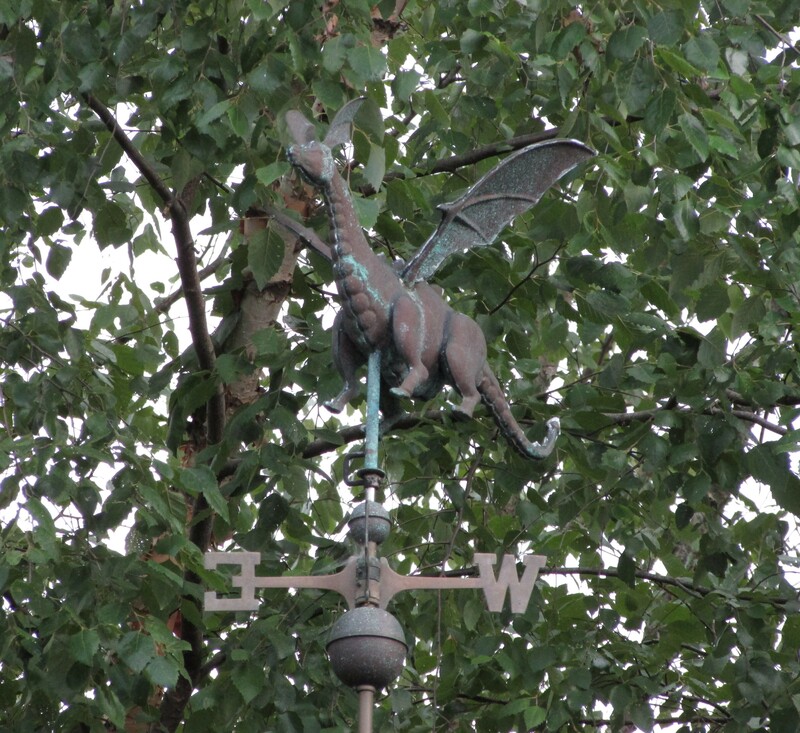 The Photo Challenge: Each Wednesday, I post a photograph of a Weather Vane with a short description of where it can be found and any history connected to it. 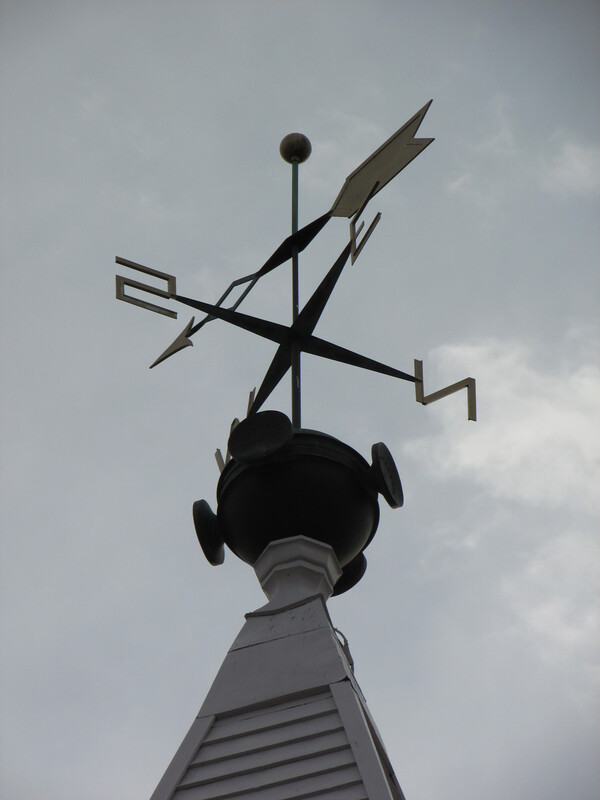 The main focus of the challenge is the photo of the Weather Vane and the location. The challenge can be Wordless if that is what you choose. If you would like others to see your post leave a link to your blog in the comment box. You can also tag the post #weathervaneweds. If you place a link to my post in your post you will create a pingback that will appear in the comment section. Thanks so much for taking part in my challenge. This beautiful dragon weather vane, almost hidden amongst the leaves that shade it, is within walking distance of my home. Two for Tuesday (Virginia Beach, Virginia- PART 2) A big thank you to Priorhouse for taking part in the challenge. Keep looking up and link back to this post, and future posts, with your weather vane photographs or add your link in the comment boxes. Tag your post with #weathervaneweds. Many thanks to Cee, of Cee’s Photography, for including this challenge in her listing of WordPress Challenges. If you love challenges take a look at this page and while you are there check out some of Cee’s terrific posts. Cee’s Photography. Thanks Cee! 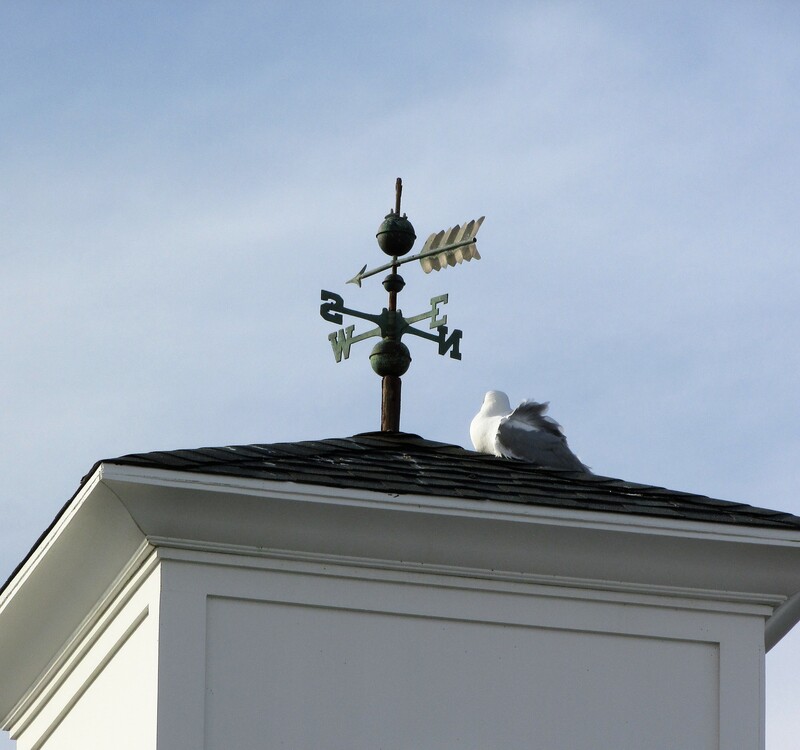 Any guesses as to where this weather vane is perched? Too easy! One of our local ice cream shoppes. 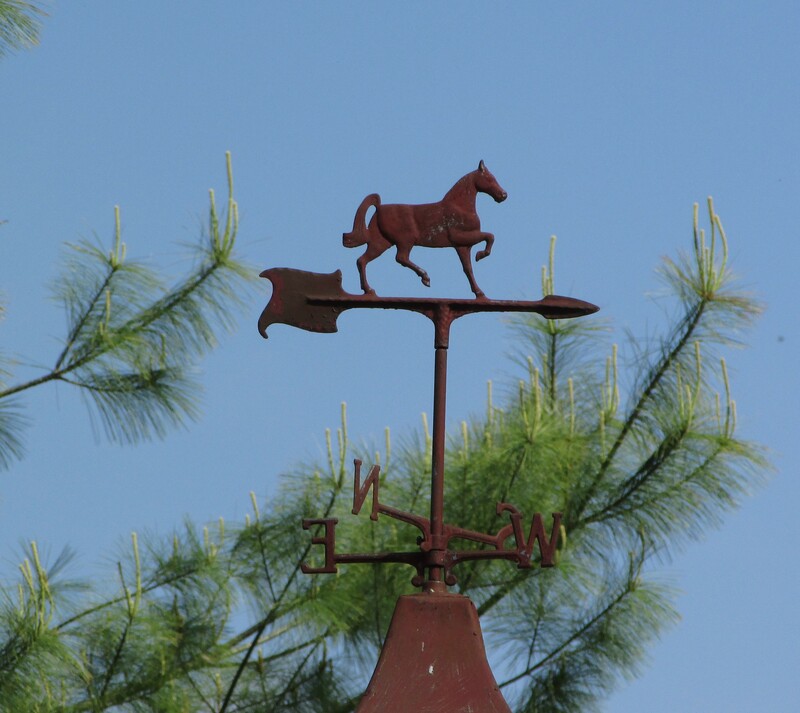 Problem-Solving & Photograph – Weather Vane Wednesday/What’s on Hand? It pays to think ahead is a cliche’ for good reason, because it’s true. I ventured out this morning, camera in hand, ready to walk toward a neighborhood lake where I knew a good weather vane could be found. 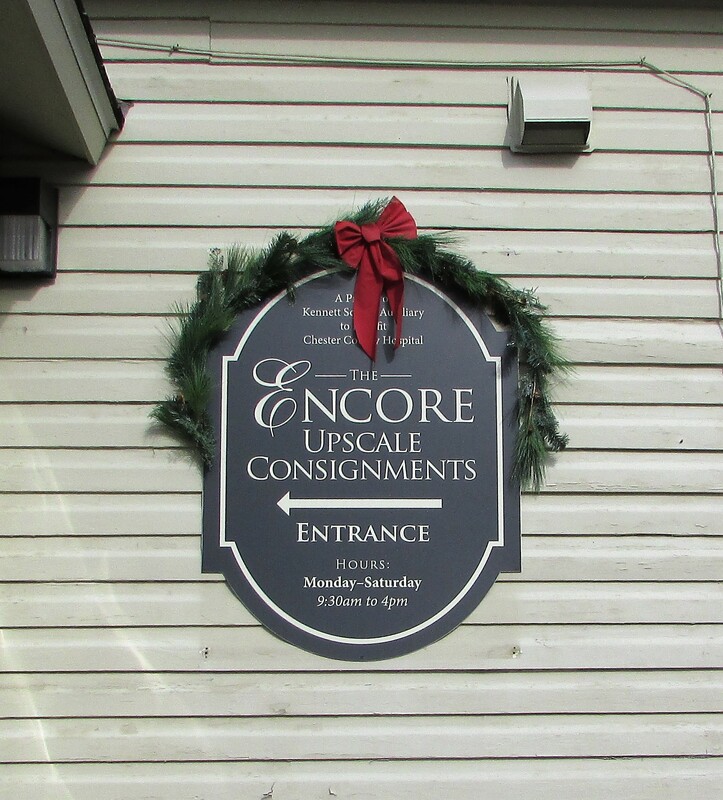 I walked about a hundred yards and immediately turned around. There is a terrible junkyard fire raging miles and miles away across the Delaware River and the smell and smog are reaching New Jersey. When my head started to ache within a few minutes, and I began to cough, I knew taking a long walk was out of the question. I am thankful I have air-conditioning to filter most of the smell out of the inside air. 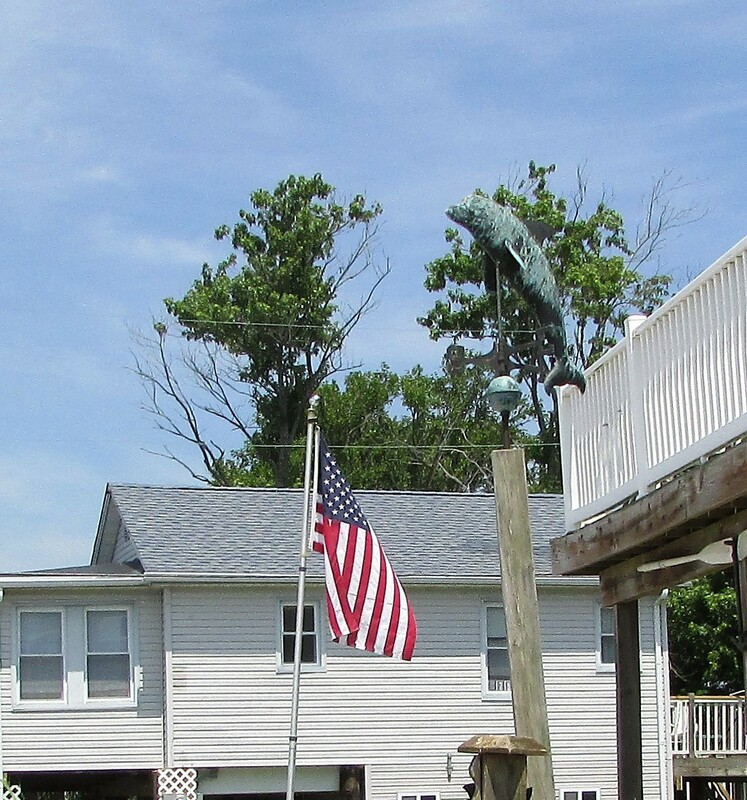 Long story short, this is a weather vane, perched on a home built beside the Delaware Bay, photographed and tucked away for just such a day as this one. 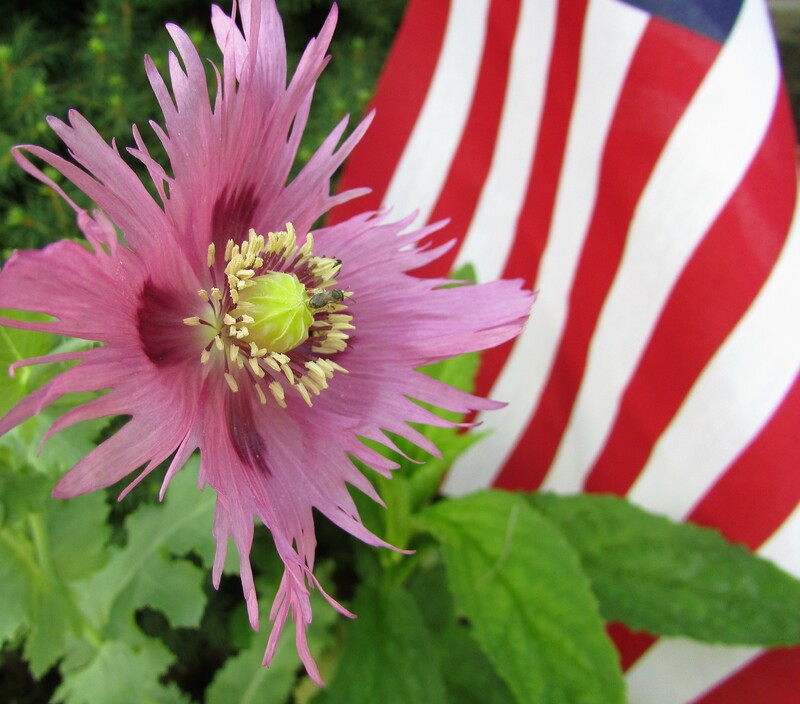 Beautiful fringed poppies are growing in my garden. I don’t know what’s prettier, the flower or the pods they develop after blooming. 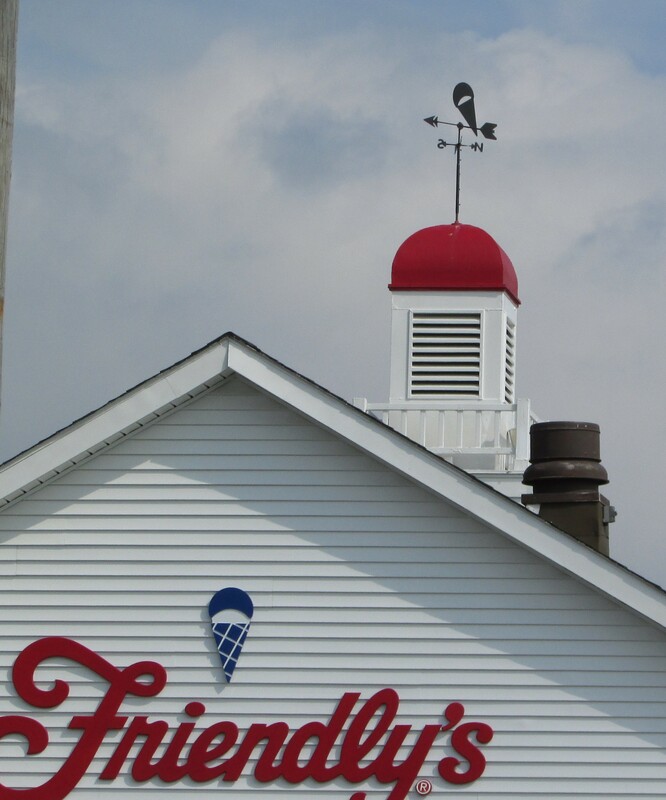 Today’s 4th of July Weather Vane Wednesday. 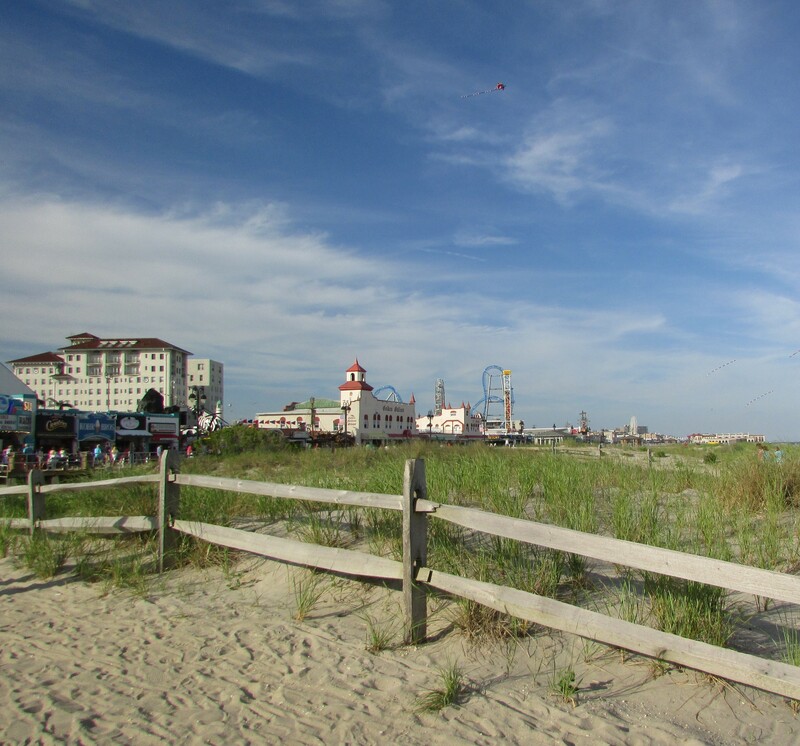 Monday evening, we drove to Ocean City, a good hour’s drive, just to have boardwalk pizza for dinner. 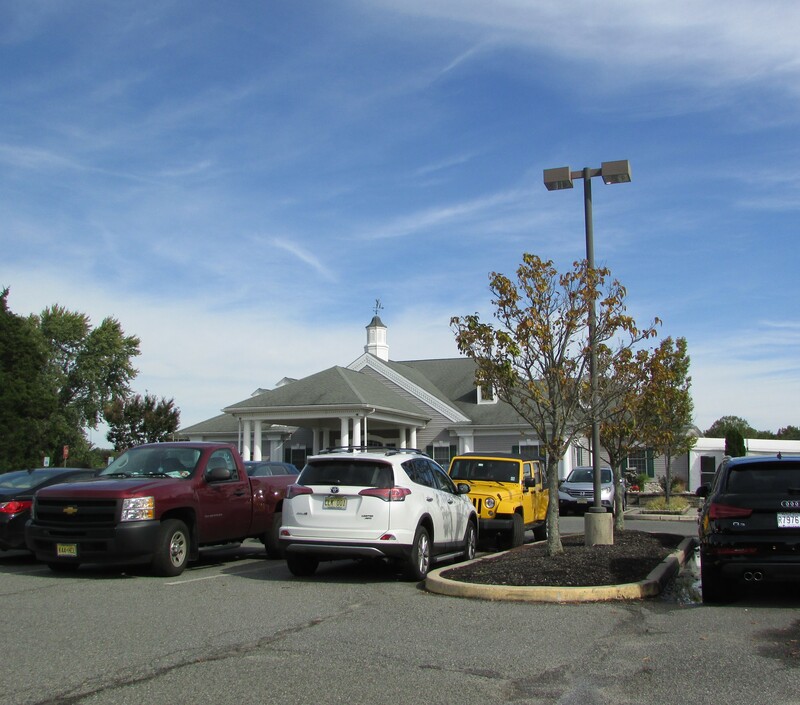 Eating pizza at Manco and Manco, once known as Mac and Manco, is a tradition for many people in our area. The pizza was delicious and sitting on a counter stool with the ocean in view while we ate was sublime. Oh, and did I say, Manco and Manco makes the best pizza in the world? I also was lucky and found several weather vanes in the area. 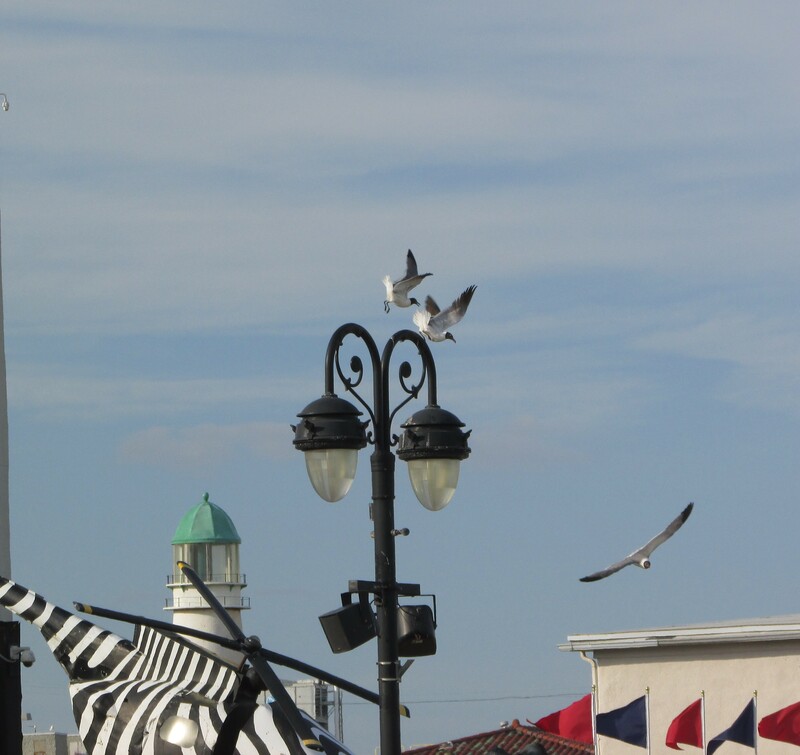 Here is one with a resting gull beside it. Happy Wednesday to you!